Over the course of a hundred years, thousands of widely known (and not so widely known) books have found their way to the big screen. However, only a few of them have managed to follow the success of the books and even fewer turn out to be accurate interpretetions of the stories they portrait. As a full time reader, I get very excited when I find out one of my favorite books is going to become a movie and look forward to seeing my favorite story and characters come to life. So when that doesn’t happen, and the movie turns out to be nothing like the book, of course I’m disappointed. I’m talking about major changes here, not just the small ones that need to be made in order for a book to be adapted into a screenplay. I don’t mind the smaller changes, I don’t even mind it when they change the plot a bit, but I do mind it when they mess up the plot or the continuation of the story completely. And don’t even get me started about characters that look and act nothing like their counterparts in the books. The Hunger Games was one of those movies I watched before reading the book. I loved the movie, so naturally I had to read the book as soon as possible. And I was very surprised at how similar the two were. One of the things I love the most about these adaptations, is how accurately the characters and world are portrayed. All the actors did such a great job with bringing their characters to life and I really appreciated the fact the director kept true to the theme and story of the book. The Hunger Games is a fact paced, action packed movie with a unique storyline every science fiction fan out there would enjoy, but for the readers of the books the movie was a chance to see some of their favorite characters come to life and that’s exactly what they got. I was very worried that the sequels would not be as good as the first one (as it has happened with other trilogies like Divergent) but I loved Catching Fire even more and I thought the Mockingjay Part 2 movie was an epic conclusion to the franchise! Hands up to Suzanne Collins for writing such an amazing story and to the actors, director and screenwriter who made sure it would be just as amazing on the big screen! I love plot twists, don’t you? I love it when a book manages to surprise me with something unpredictable that I never saw coming and leave me in awe for hours (maybe even days) after I’ve finished it, wracking my brains to figure out how I could have possibly missed something so vital. So today, I’m going to be listing my top 5 books with plot twists that have blown my mind! But no worries, I’m not gonna reveal any of the actual plot twists themselves, so you cant totally read on even if you haven’t read the books. You all know how much love I have for this series and its characters. Throne of Glass was an exciting read but Crown of Midnight truly exceeded all my expectations and that was partly because of the plot twist at the end. Now I have to admit that I did catch the plot twist pretty early (in the middle of the first book actually) but that didn’t make it any less brilliant. This whole series is full of twists and turns actually, so it’s totally worth reading and I recommend this to lovers of high fantasy wholeheartedly! Goodreads summary: Danger and betrayal, love and loss, secrets and enchantment are woven together in the breathtaking finale to the #1 New York Times bestselling Infernal Devices Trilogy, prequel to the internationally bestselling Mortal Instruments series. My thoughts: Starting off with my favorite trilogy ever. The cover of Clockwork Princess has always been one of my absolute favorites, which is why it’s always facing forward on my bookshelf. I like the covers of Clockwork Angel and Clockwork Prince too, but this is the best of the three in my opinion. And come on, she’s holding an open book! What more do I need to say? It’s Thursday again! And it’s a particulary good Thursday for me because yesterday was the last day of my college exams, which means I now have a two week break that I can devote to reading. Yay! But let’s get to business. A couple of weeks back I wrote a blog post about the top 5 books in my TBR. So today, I’m going to be listing the top 5 books I want to buy the most. I will only use books that are already out because otherwise the list would be way too long for this year. My thoughts: This sounds like a very promising start to an exciting new series. I never say no to witches and exploring magical worlds. Especially if these magical worlds go with strong female characters. And I’ve also heard some amazing things about the world building and magic system in this one. So I’m really excited to read it and it’s definitely going to be one of the books I’ll be ordering next month! You saw this coming, didn’t you? What can I say? Will Herondale has stolen my heart. And as much as I love Jem (and I do love him plenty), I just couldn’t see Tessa with anybody else but Will, at least not in The Infernal Devices (City of Heavenly Fire was an entirely diferent matter). Even though their relationship wasn’t without its ups and downs (in fact, we Wessa fans had to wait until Clockwork Princess to be truly satisfied), I loved reading about their most romantic and honest moments and I couldn’t help but grin like an idiot when I read the part when Will proposed to Tessa towards the end of Clockwork Princess. Doesn’t that just make your heart melt? And that epilogue broke my heart and brought tears to my eyes but it was also one of the most beautiful things I’ve ever read to date. Also, I just have to mention Will’s letter to Tessa. It made me love him even more, if that’s even possible, and Cassandra’s flawless writing in all three books of The Infernal Devices never fails to amaze me. Goodreads summary: In a time when Shadowhunters are barely winning the fight against the forces of darkness, one battle will change the course of history forever. Welcome to the Infernal Devices trilogy, a stunning and dangerous prequel to the New York Timesbestselling Mortal Instruments series. My thoughts: I still get overwhelmed by feels when I think of this book and its sequesl. Even years after reading it, The Infernal Devices remains – and probably will always remain – my favorite trilogy ever. I have yet to find a male book character that has topped Will Herondale (many have come close but in the end its always Will) and I can’t even begin to expess my love for this trilogy and all of its characters in general. One of my favorite aspects of this book is the relationships formed between the characters. Jem’s and Will’s devotion to each other never fails to impress me and these two have stolen my heart forever. Also, Tessa is one of the few female characters that didn’t annoy me that much while I was reading the books and I could totally relate to her character and love of reading. Cassandra has also given us some brilliant quotes in this and Will’s snarky comments are always enough to make my day. For not mentioning that heartbreaking but beautiful ending! I can honestly say that I loved it a lot more than The Mortal Instruments and I believe that the story goes much deeper and sends some great messages about loyalty, true love and sacrifice. And of course I need to reread the whole trilogy soon, so I can insert myself into the brilliant world of the Shadowhunters of Victorian London once more. It’s been a while since I’ve done one of those, so yay for Top 5 Thursdays! Recently I made a post about tbr lists and how they tend to grow and grow and never become smaller. Right now I have about twenty books on my shelves that I haven’t read yet, and fifty more I want to buy. One thing I’ve noticed, however, is that no matter how big the tbr list becomes, there are always some books I want to read more than others. So, this post is dedicated to the five books on my shelf that I want to read the most and should probably get to soon. Goodreads summary: Around the world, black handprints are appearing on doorways, scorched there by winged strangers who have crept through a slit in the sky. My thoughts: This one has been sitting on my shelves since the summer and I really, really need to get around to reading it. I was particularly intirgued by the summary when I first read it on Goodreads and I know this is a favorite for many so I’m dying to find out if I’m gonna love it as much myself. I’ve also heard some great things about Laini Taylor’s writing skills so I have no idea why it hasn’t happened sooner. Especially considering that I went ahead and bought the whole trilogy in hardback. I couldn’t resist. These books were just sooo beautiful! Since Halloween is only two days away – and since I absolutely love it even though we don’t celebrate it here 😦 – I decided that this week’s Top 5 Thursday had to be something Halloweenish (yes, I just invented a word). And what’s more Halloweenish than scary stuff? Nothing. 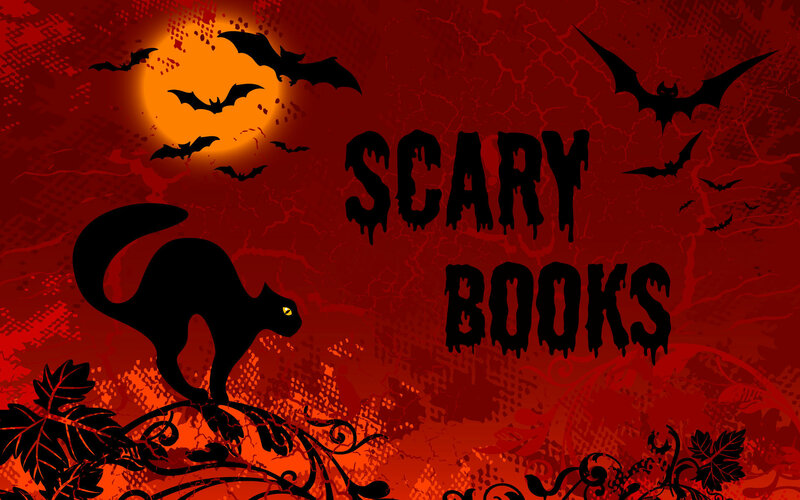 Since, apart from being obsessed with Halloween, I’m also a horror junky – I love horror movies and books in general – I thoroughly enjoyed coming up with the books for this blog post. And I actually had to include six instead of five books in this because they were too good to leave out. So, without further ado, here they are! My thoughts: This one has been sitting on my shelf for a while. I bought this book on a whim because I found it on sale at my local bookstore and it was the hardcover edition too, so I thought why not? But I didn’t really have the intention to read it at the time until I actually started reading it and found it really really interesting. 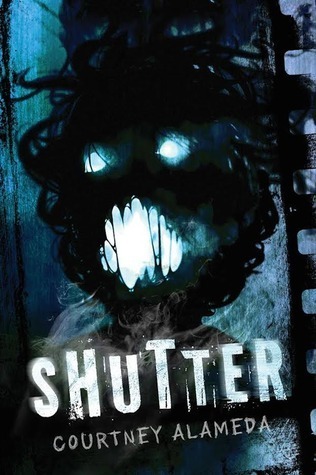 I wouldn’t exactly call it a horror story but it is a creepy book since it is practically about ghost hunting. I only managed to read until the hundredth or so page of this book, mainly because I was in a horrible reading slump at the time and wasn’t really in the mood for something like this. But I really enjoyed those hundred pages and I found Micheline an extremely interesting and badass character so I will be picking this up again as soon as possible because I really, really want to finish it. And also that cover! it’s so creepy isn’t it? I wouldn’t want to wake up in the middle of the night and see it staring back at me. Probably the most used spell in all Harry Potter books and a personal favourite of mine, the Disarming Charm, also known as the Expelliarmus Spell or Disarming Spell is a defensive charm which forces the victim to release whatever they are holding at the time. It is common to see this spell used in duels, to make an opponent release their wand. Summary: Humans and androids crowd the raucous streets of New Beijing. A deadly plague ravages the population. From space, a ruthless lunar people watch, waiting to make their move. No one knows that Earth’s fate hinges on one girl. My thoughts: There’s not much left to say about this book that I haven’t said already. 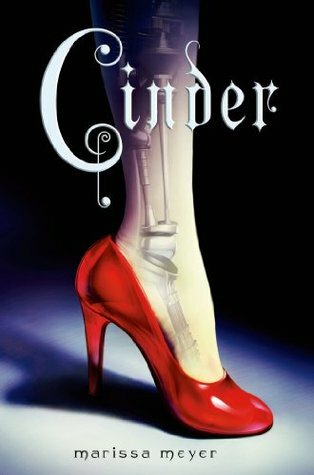 Cinder was amazing, brilliant, unputdownable (I had to use that world!). I loved everything about this book! From the characters to the story line to the world building. Easily of the best books I’ve read this year and if you haven’t picked up this book yet you should waste no more time in doing so!